DOUBLE Friday Giveaway! Specialty Olive Oil and Gourmet Gluten Free Bread! Ok – so first up – we have amazing Specialty Extra Virgin Olive Oil from Olivari. 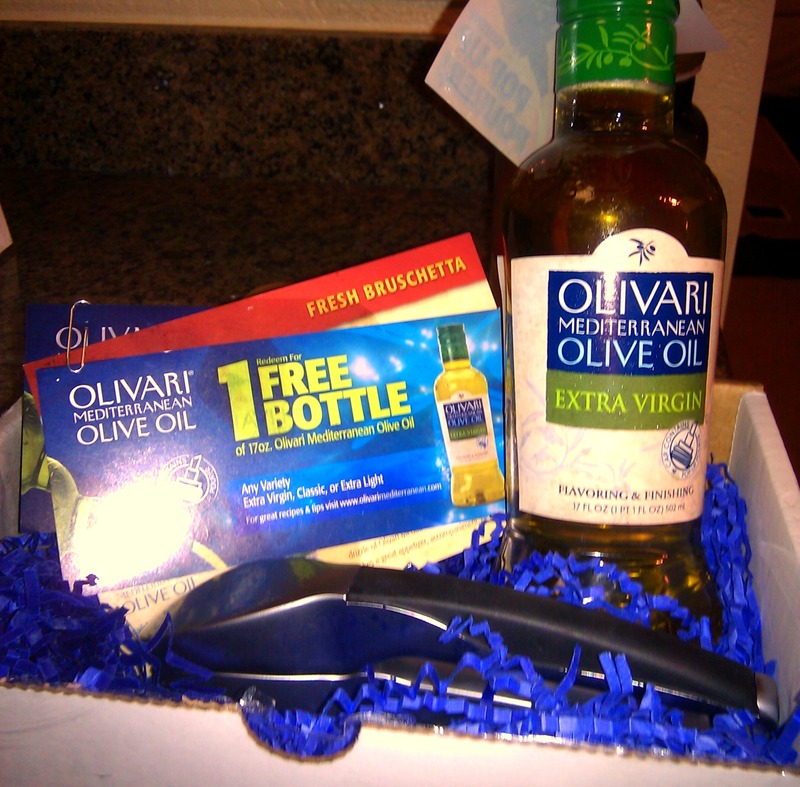 They sent me a wonderful gift package complete with 1 bottle of EVOO – with a super cool pop-up pour spout! They also sent me a garlic press, a few coupons for their other olive oils, and some fun recipe cards. Their olive oil is amazingly smooth and very fruity – you can smell the wonderful olive flavor as you’re pouring it on a salad or into a pan! Their ingredients are 100% natural and they are proponents of the beneficial Mediterranean diet: known for fresh fruits and veggies, healthy fats and lighter proteins! One lucky reader will win this exact same gift box courtesy of Olivari! 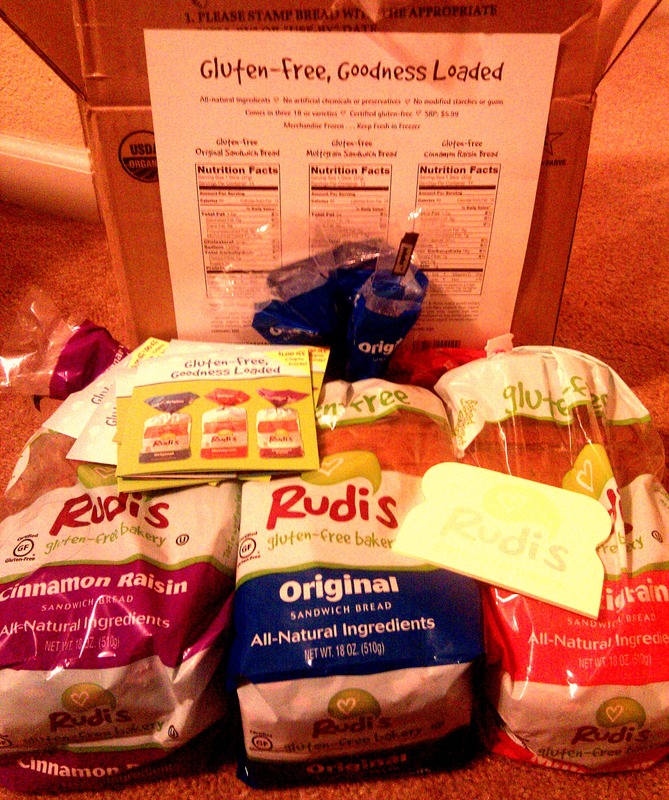 My second foodie giveaway is in partnership with Rudi’s Gluten Free Bakery! They were kind enough to send me a sample pack of three of their gluten free breads: the original, multigrain and cinnamon raisin. I have to say – the cinnamon raisin was my personal favorite, but all three of the varieties were great! While they don’t taste EXACTLY like regular bread – they are pretty close and the best gluten-free breads I’ve ever had! [Recent Update: I just tried the bread again after toasting it in the toaster oven on low. After warming the bread, it became even softer and fluffier with a really great, slightly crispy texture on the outside! I was really impressed. It actually tasted exactly like toast I’d eat in the morning – with a nice cakey texture to the bread. And my husband who normally hates gluten-free bread, asked me to make a sandwich for him with Rudi’s bread – and he LOVED it. Way to go Rudi’s!!] Bread lovers won’t be disappointed with this product – and the best part is, they are 100% natural as well. Many of the ingredients are organic and all the breads are freshly baked in Rudi’s bakery. One lucky reader will win this exact same gift package and all 3 breads courtesy of Rudi’s Bakery! This giveaway will close on Thursday, January 27th at 11:59pm PST. I will be selecting the winner at random and will contact them via email. I’ll be announcing the winner on Friday, January 28th! Be sure to enter – these products are amazing and totally worth trying out! Foodie Friday Giveaway: Mary’s Gone Crackers Love Cookies! Hi Everyone!! So it’s that time again – Friday giveaways! Wooohoo! These giveaways have seriously been so much fun to do – I love hearing from all of you – thank you so much for entering the last giveaway! We had over 40 entries which is awesome!! 🙂 So that begs the question – who won the 479 Popcorn giveaway? Congratulations goes to…. Small Footprints!! 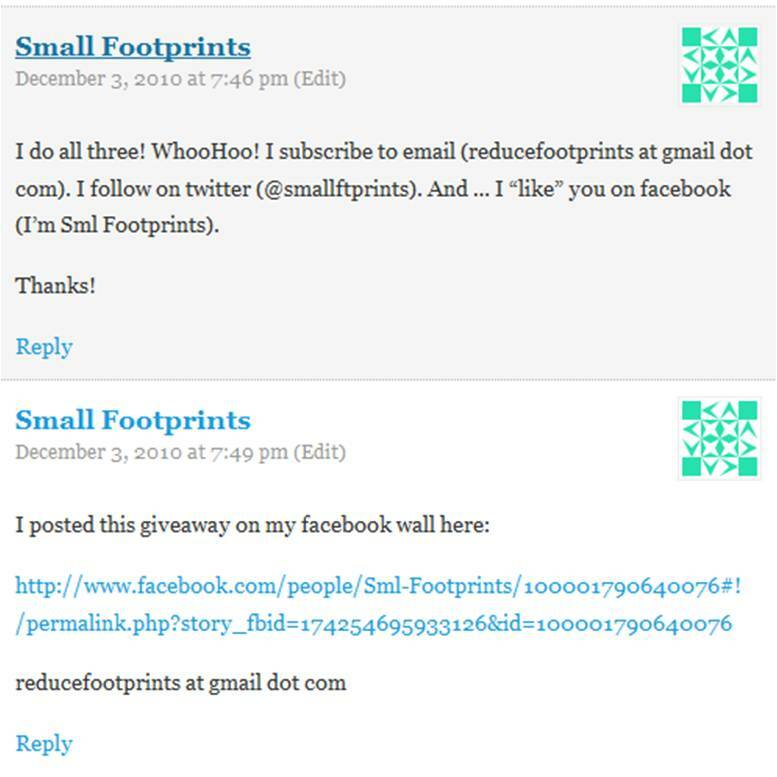 Small Footprints – I just need your address – and you will be receiving your very own Globetrotter Sampler Pack in the mail! Thanks again to all of you who entered – I appreciate your interest and support more than you know 🙂 And now all of you have a chance to win again – with the awesome cookies from Mary’s Gone Crackers! Mary’s Gone Crackers probably have some of the best tasting and healthiest cookies around. 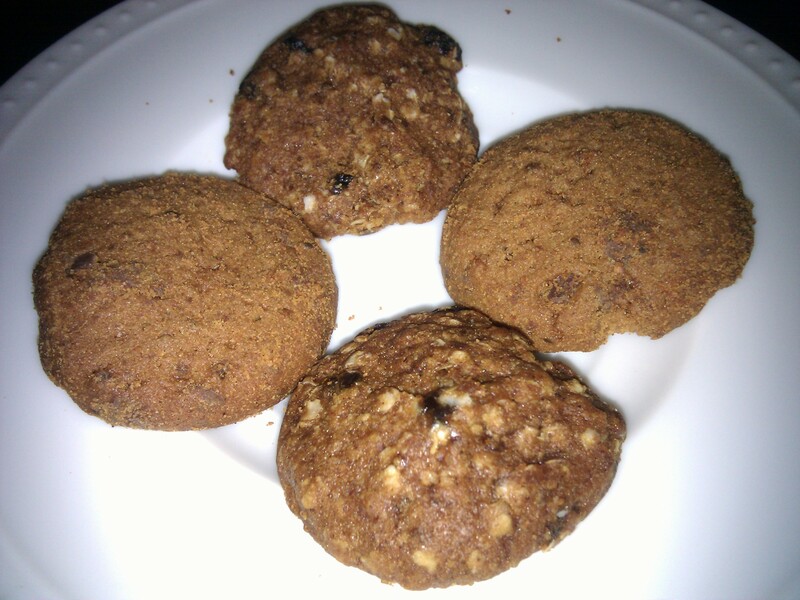 And yes – cookies can be healthy and still taste amazing! Mary’s Gone Crackers creates gluten-free, wheat-free, dairy-free (so basically allergy free!) cookies made with all organic ingredients, no hydrogenated oils, no trans fats, non-GMO, and only low-glycemic sweeteners! You might be thinking – do the cookies even taste good? Are they “flavor-free” too? Absolutely not! These cookies are delicious. You can’t even tell how healthy they are for you – they are super moist, totally satisfy your sweet tooth, and are less dense than most gluten free products I’ve tried. Oh and in addition to being really yummmmy, they’re also guilt free too! 2 cookies weigh in at around 120-140 calories, and even have a bit of fiber and protein because of all the “good for you” ingredients! Mary’s Gone Crackers were kind enough to send me TWO boxes of their delicious cookies to try: The Chocolate Chip and the N’Oatmeal Raisin flavors. The Chocolate Chip is slightly crispy – kind of reminds me of the perfect cookie to dunk in milk, and the N’Oatmeal Raisin is soft and chewy. How good do those cookies look?? 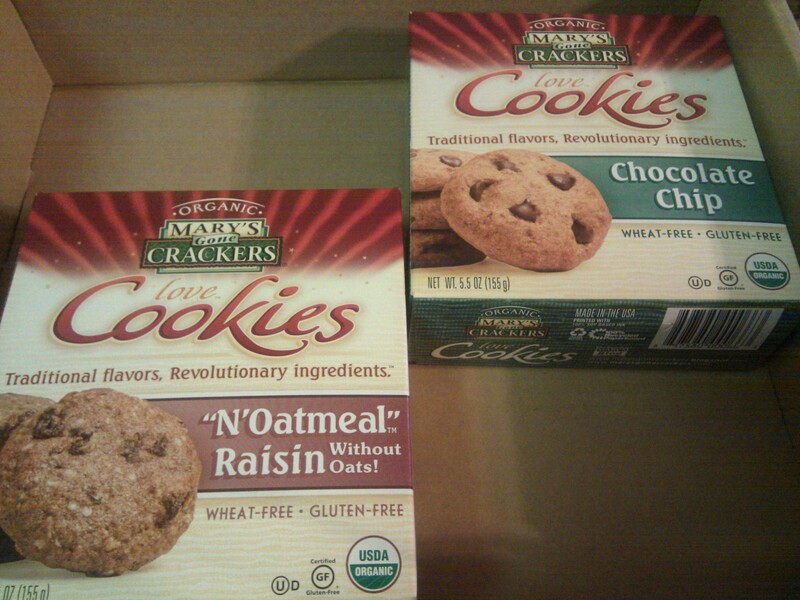 And one lucky reader will WIN two boxes of Mary’s Gone Cracker’s Cookies: the Chocolate Chip and the N’Oatmeal Raisin! This giveaway will close on Thursday, December 16th at 5:00pm PST. I will be selecting the winner at random (via random.org) and will contact them via email. I’ll be announcing the winner on Friday, December 17th when I launch my next giveaway! Be sure to enter – it’s super easy and these yummy-licious cookies are totally worth it!